Fresh lettuce is one of those veggies that tastes great by itself, dipped in a favorite dressing, grilled, or as a fresh take on the taco shell. 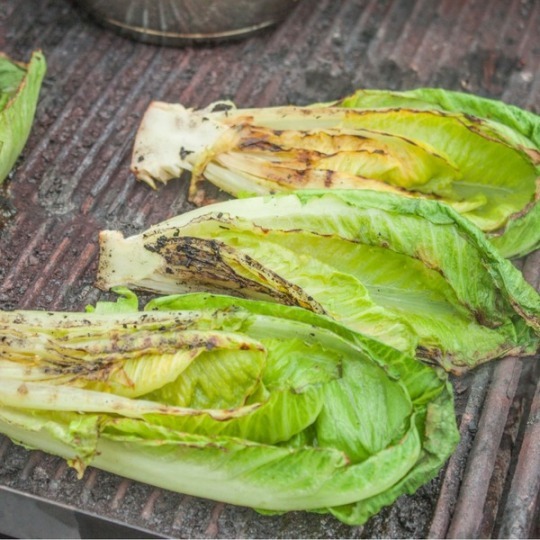 Try this fresh grilled romaine at your next gathering, and you’ll have everyone raving. It’s simple, multipurpose, healthy, and absolutely delicious. You can also grill up smaller leaves and serve them as appetizers. We love dipping them in a mixture of soy sauce and sriracha. 1. Preheat grill on medium heat for about 5 minutes. Lightly oil the grate. 2. Drizzle olive oil over the romaine lettuce and season with sea salt, garlic, and fresh black pepper. 3. Place the lettuce on the grill, cook about 3 minutes until the lettuce is slightly charred. October 10, 2017 by Corinne L.